In his 1943 paper, “A Theory of Motivation,” psychologist Abraham Maslow introduced his concept of the hierarchy of needs. He posited the theory that in order to reach self-actualization, the highest level of human growth, we must first move through the more basic needs he defines as physiological, safety, love and belonging, and esteem. Self-actualization is defined as “an ongoing process in which people continue to stretch themselves and achieve new heights of well-being, creativity, and fulfillment” (Biography of Abraham Maslow). It is the mountain top everyone sees and aspires to reach, but how do we get there?This anthology contributes to the Carnegie Writers Conference Series by centering on literacy, the act of reading and writing, as a tool to reach the highest aspects of the self: morality, creativity, spontaneity, acceptance, meaning, purpose, and inner potential. Writers from various professions discuss this topic, and all are invited to read and learn— writers, students, workers, professionals and amateurs alike. ​Throughout the years, writing has held many purposes: to instruct, to inform, to imagine, to connect. This anthology contributes to the Carnegie Writers Conference Series by examining the values, customs, traditions, community and diversity of writing. Writers from various professions discuss these topics. All are invited to read and learn, writing professionals, publishers, authors and students. 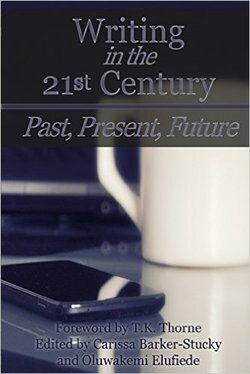 ​Writing in the 21st Century is a collection of book chapters from presentations at the 2nd annual conference. The concept of writing has changed through the years to accommodate a dominantly technological society. This change has impacted the way adults communicate, collaborate, and write. For productive progression, writers must be familiar with how to market effectively with social media tools, communicate appropriately in business writing and the work environment, recognize personal goals related to their craft, and other topics of special interests. Effective writers accept the past, enjoy the present, and plan for the future.